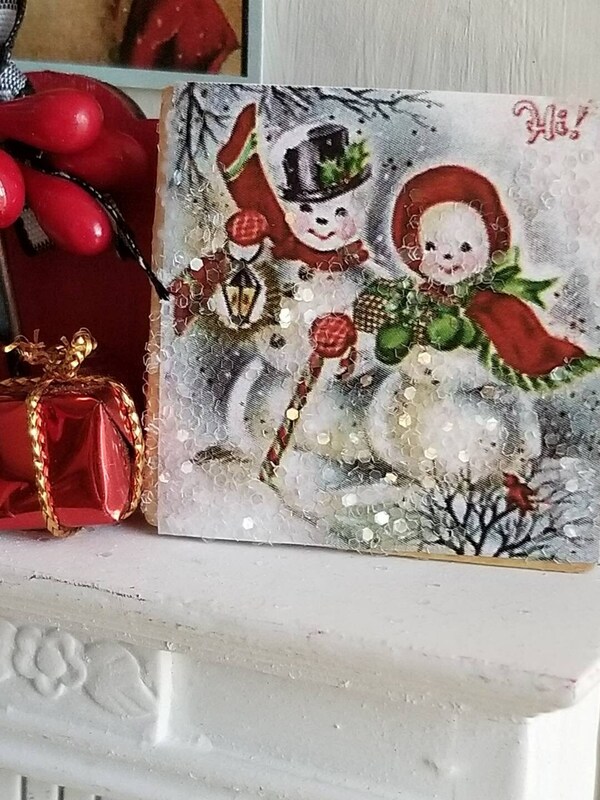 Vintage Style Snowman Couple Art Canvas 2" x 2"
This sweet snow couple is adhered to a wood backing. Embellished with snow glitter. 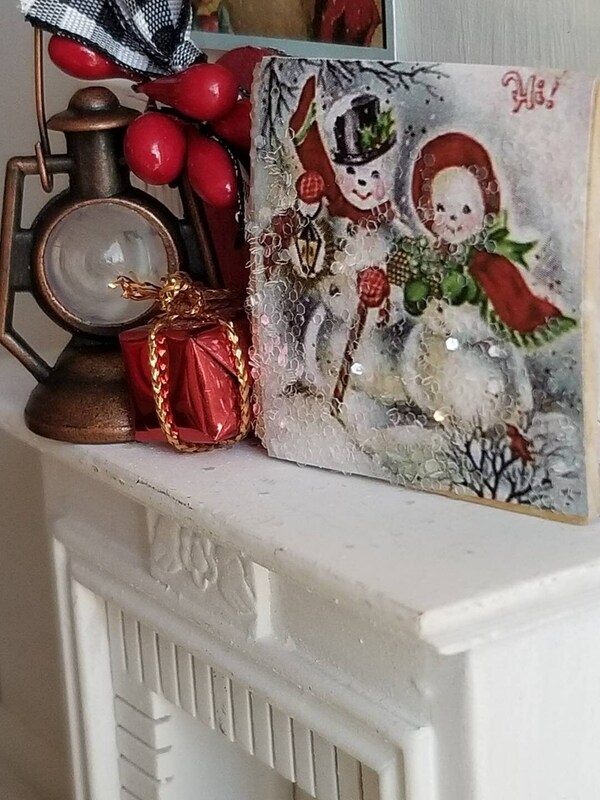 Perfect for winter and the holidays. Just as cute as it can be! Another Debbie Booth inspiration for my dollhouse! Thank you so much!